As I made my way into town on this very ... 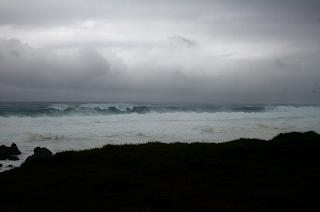 VERY overcast and rainy day I was eager to make it to Ho'okipa to see what the waves were like today. It was a complete white-out everywhere you looked. 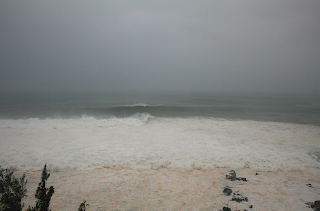 Now I have grown up seeing a lot of waves, but I have always wanted to see giant waves. 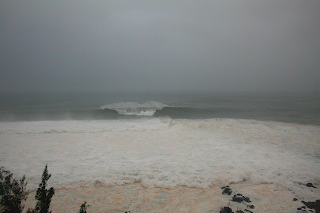 Today I finally got to see some really big waves which were projected to be 12'-20'+ today. I would say that these were most definitely 20+. 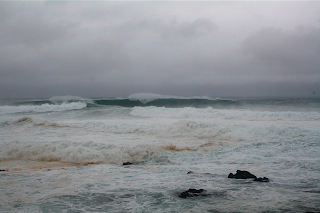 I pulled off and took these images at Ho'okipa this morning and this evening on my way home. I stopped at Baldwin Beach in the morning and had to turn around as the parking lot was flooded. 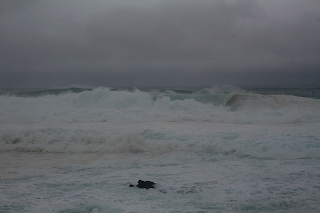 As I came home I noticed that both Baldwin and Ho'okipa Beach parks were both closed, but that did not stop everyone from pulling off the side of the road to witness the crashing waves. It's really hard to illustrate just how big they were in these images, but trust me... they were BIG! My eyes just could not believe what they were seeing. It was a spectacular sight. And from the way the surfers hanging out on the side of the road were talking, there are bigger ones to come as we head into January. 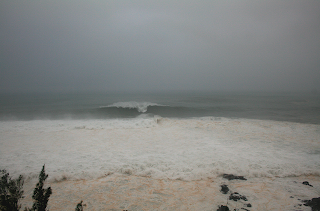 I'm looking forward to seeing some monster waves with a clear blue sky. 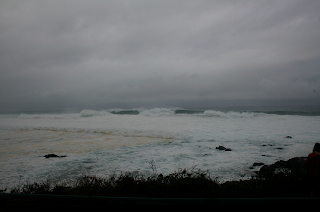 The next 5 images is a series of one wave as it broke at Ho'okipa Beach Park. You can see the sand of the beach being washed out at the bottom of the image. 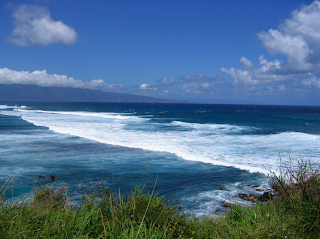 This particular location is usually filled with surfers and windsurfers, but not a surfer of any kind in the water anywhere... it was much to treacherous. 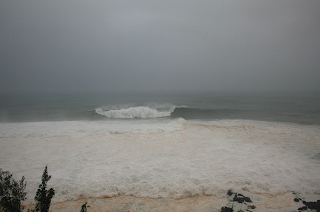 Below images of Ho'okipa Beach Lookout today and March 2007 how we have usually seen it.